The Photography Department strives to preserve photographic based works so that they will be available for the appreciation and study of future generations. Given the diversity of photographs, each picture is treated individually to maintain its historical integrity and the artist’s original intent. 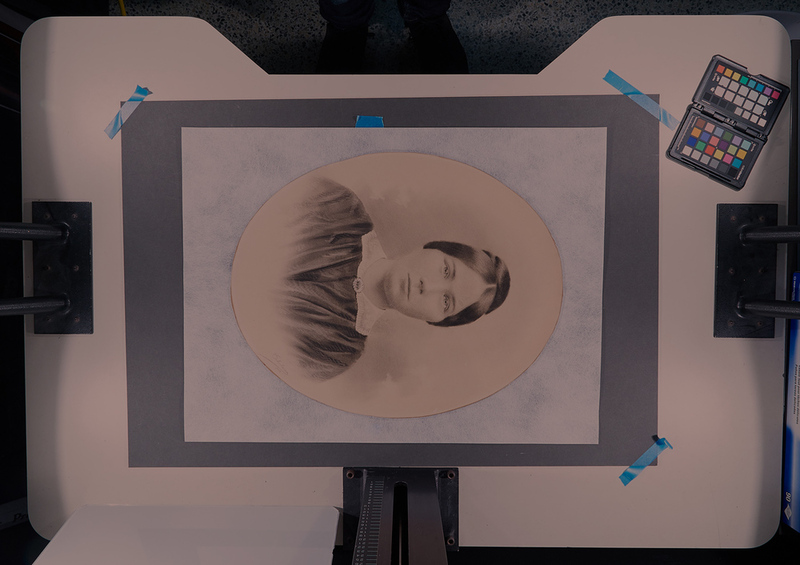 The Center’s conservators have an in-depth understanding of the conservation of photographs and its history; treating pieces that range from fine art photography, to family portraits and everyday snapshots. The conservators treat a multitude of works including: tintypes, daguerreotypes, ambrotypes, sepia, black and white, color, hand-colored, and contemporary photographic prints including chromogenic and lambda. For sentimental photographs that have been severely damaged, our Digital Restoration Department can help provide an alternative preservation solution. George Bernard Shaw. Howard Carter. Black And White Photograph. Water Damage. Portrait of a Woman. Reinforced photograph with hand-painted additions. Age-related. Dental School. Sepia Photograph. Age-related Damage.